On their own, pets don’t take up too much room. But their beds, bowls, leashes, coats, treats, and toys can. Which is why we’re excited to bring you these 10 IKEA hacks that will help your best friend in the whole wide world live the most spacious life/nine lives possible. 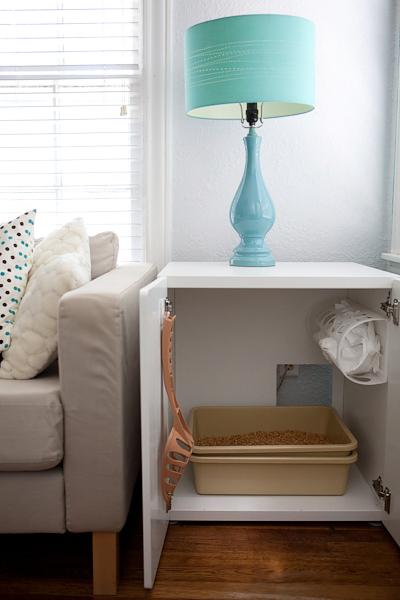 Brandy Frank of Bella Pop created this lovely, handy workaround to the worst part of owning a cat: the litter box. Unless you’ve trained your Felis catus to use the toilet, you have to find a place for his litter, ideally out of sight and smell. Brandy’s solution? The STUVA BETSAD from IKEA, with a hole cut in the back with a jigsaw. Mischief (and litter scattered around the box) managed. 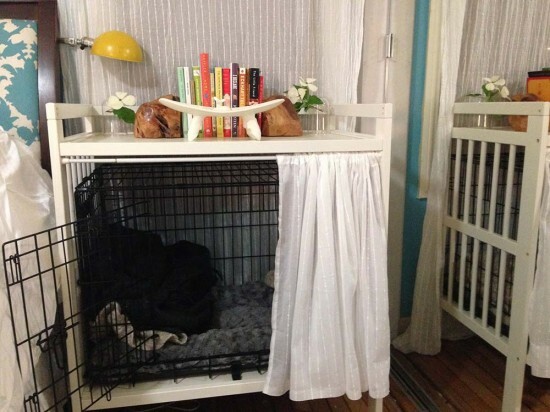 Most dog owners have to to deal with finding a place to put their pup’s crate, which isn’t easy in small apartments. Enter the GULLIVER changing table. Cheaper than dog crate furniture, this multipurpose piece can serve as a nice nightstand while hiding a pied-à-terre for your dog. Remove the middle shelf, and add a small tension curtain rod with fabric, and it’s ready for your best friend to hang out in. But only sometimes, because we all know that your dog’s primary residence is your bed. Regardless of how long they’ve lived inside and away from their natural forest habitats, cats still love climbing. You might cater to this by buying carpeted cat trees, but don’t forget, they still take up precious floor space . When Tatiana Vandersluis‘ kittens outgrew their tree, she didn’t have space for the adult model. So she decided to build her own, on her walls. 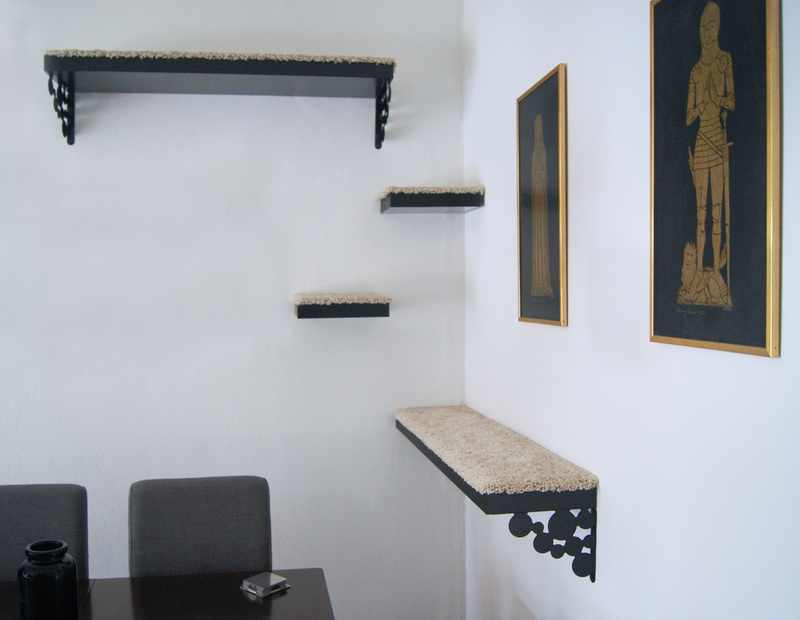 Using LACK shelves, brackets, and an off-white IKEA rug, she built platforms around a corner for her cats to climb. The quick hack freed up floor space and still catered to her cats’ natural instincts. 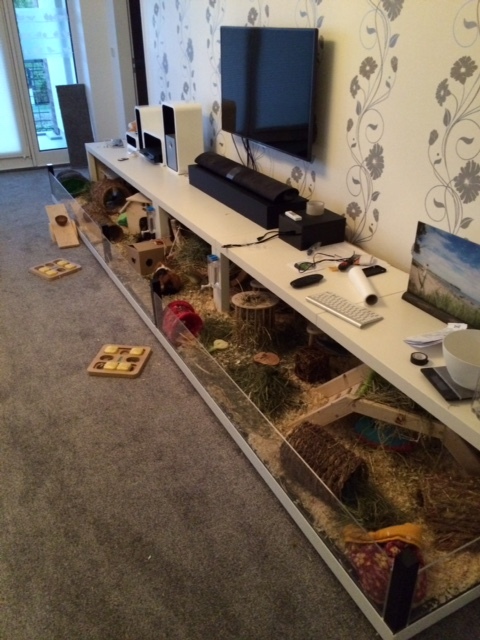 Do you have a dozen guinea pigs and nowhere to keep them? Probably not, since there can’t be more than one of those people, but the principle of this design is great. 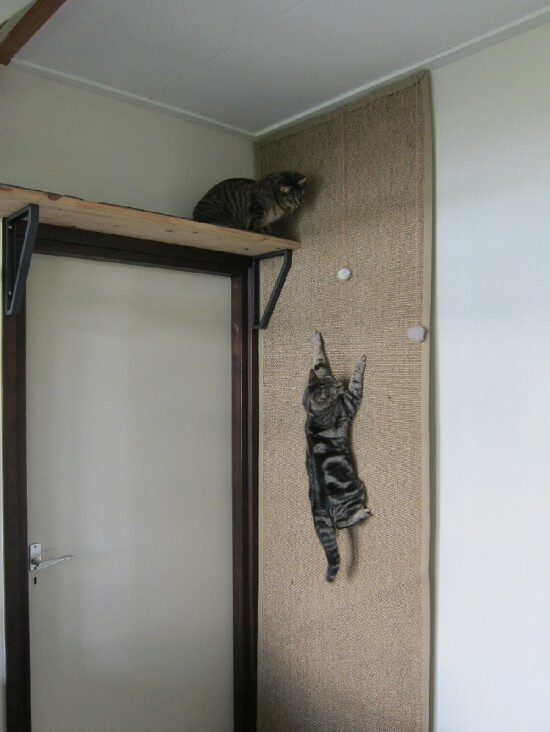 This hack isn’t beautiful, but it may be the simplest on our list: hang an OSTED rug from the ceiling to create a climbing wall for your cats. The construction only requires a few minor tools and a few minutes of your time, and it only takes up about half an inch of space on your wall. It also serves as both a scratching post and cat tree. 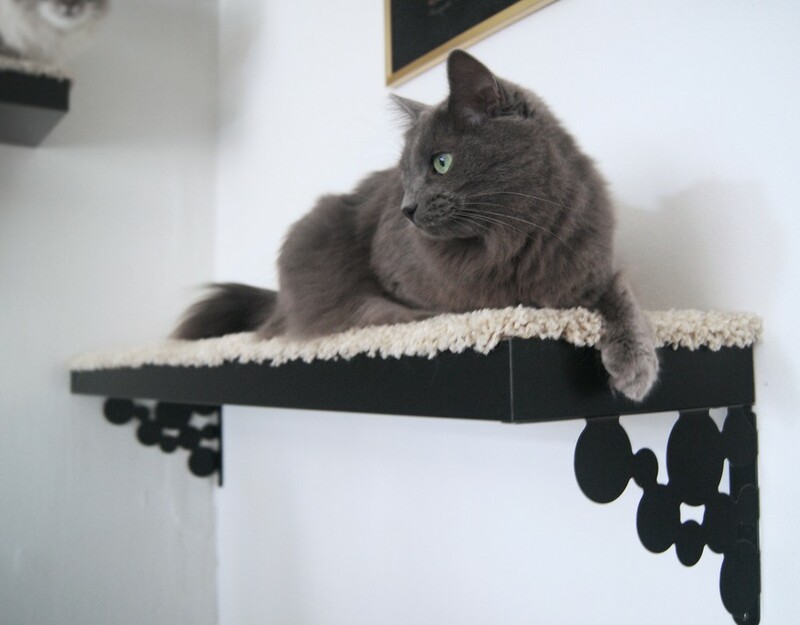 If the tiered shelving trick intimidates you, this is a nice compromise and appeals just as much to your cat’s bouldering needs. Dogs like windows. Dogs like sunlight. Dogs like staring at your neighbors. Whatever floor you live on, chances are your furry best friend would like to see more of the outdoors. 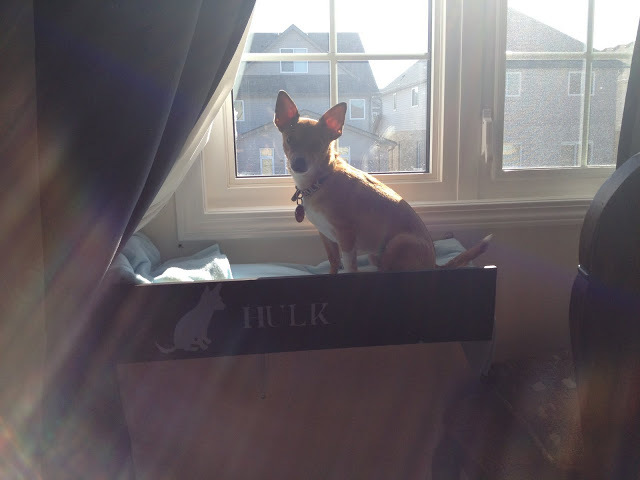 Since you can’t take him outside every hour, you can build a sightseeing platform with a FABIAN shelf. This design only works for small breeds, but it works well, and your cat would appreciate it too. Two cats does not a crazy cat lady make, but it does mean double the toys and beds around your apartment. 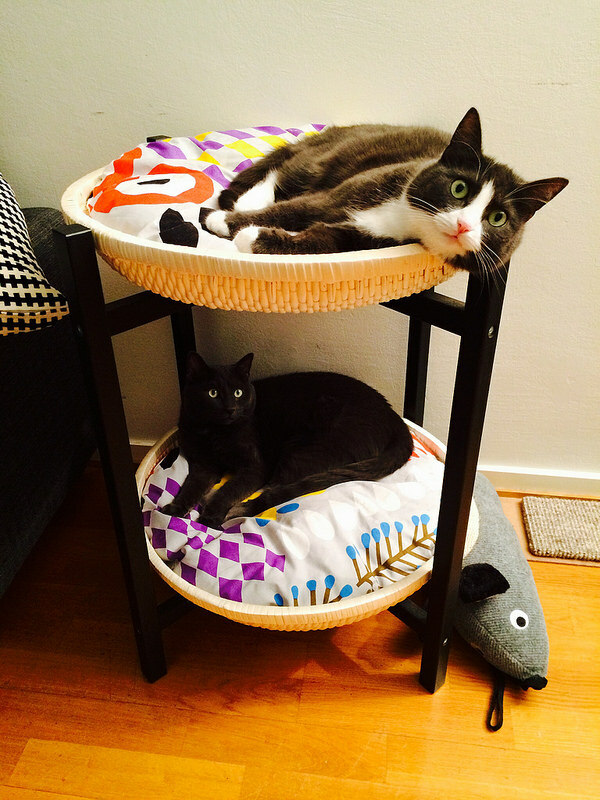 Flickr user Hanna Ollila solved that issue by creating a bunk bed for her cats with the TRENDIG tray table. Unfortunately, that nifty piece is no longer available, but stacking the DUKTIG doll bed produces the same space-saving effect. Oh, and we’ve heard that pugs like it too. That said, devoting an entire room in your apartment to your cat does a crazy cat lady make, but we’re here to free up space for you, not to judge. 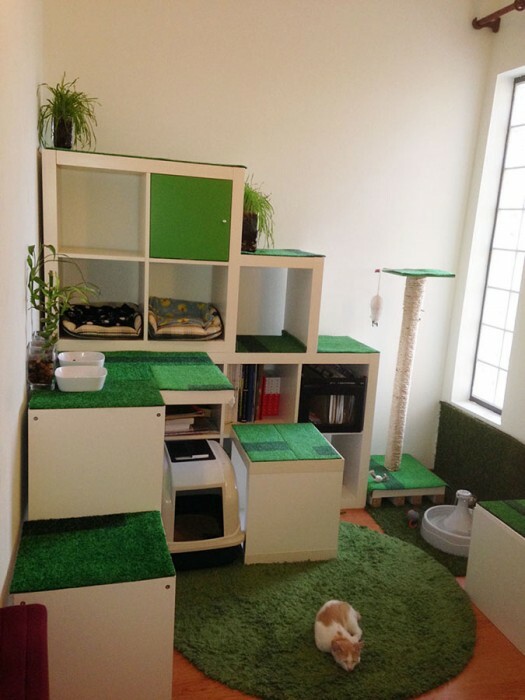 If your cat has to have a full playroom to herself, try to include some storage in there for you too. The room above used EXPEDIT units, which IKEA sadly discontinued. Fortunately, their KALLAX shelving works just as well, and your cat won’t notice the difference. Does this save space? Maybe not a ton, but it does add extra shelving for you to store your pet food on top, and it keeps the food bowls all in one place. 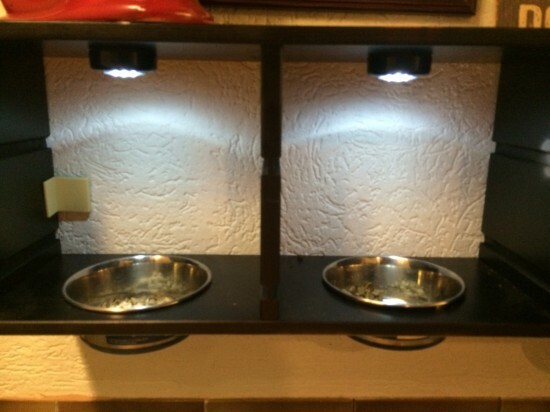 Whether you own a dog, cat, or domesticated pig, this little TROFAST food station hack would work well for your pets. Did we save the best for last? Kind of. This hanging rat cage is made out of a BESTÅ cabinet, creating multiple levels and pipe tunnels for your busy little rodents. It looks sleek, even charming, something few rat cages could claim. 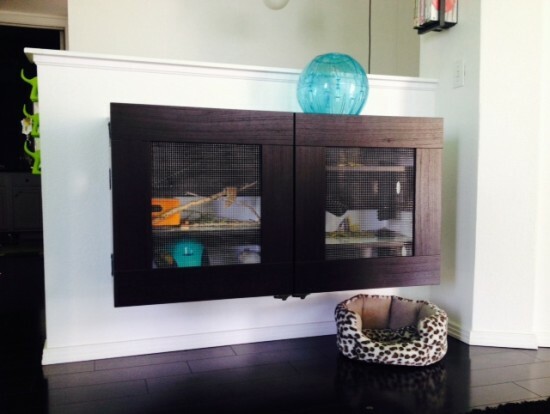 Nicest of all is that floor space underneath, removing the clutter that too often comes with owning pets. This article was written by David Michael McFarlane, a writer from Texas and Oregon who lives in New York and loves smart design and organization.